Today has been a good day with both of us resting but then it was so cold out they say we might get snow and I can believe that, but hope not. I wrote to the solicitor in my interview as he has got the wrong idea of the Bill when he said “of coarse drugs have to be trialed -Thats not what the Bill is about. Its about all the drugs that have been trialed that might be a match for the patient. Thankyou for appearing on BBC SE . Im not asking for untested drugs. But drugs that have already been tested for other cancers might suit my fight. It means that we will get a better treatment. They can look at my bi-op and see if the cells are like- say Breast cancer or bowel cancer and personalize a treatment for me. Also why cant I have Phase one or two trial. All the trials are for phase 1 and 2 not for my 5th Line. I have lived to long and Medical treatment hasn’t caught up with me. Im the first 5th liner in K&C they just dont know how to treat me. Im searching the country for treatment. Drugs are tested in US and then they come here and have to be retested again even with a Placebo. So much time and money is wasted. While Im left to die. Lord Saatchi Bill is needed and needed today and I will fight all the way. I did get an email that pleased me as I have been campaigning with Macmillan and received this . As you may remember, we wrote to you in November about worrying reports that people terminally ill with cancer were having to wait up to two months to receive their benefits. More than 3,000 of you supported our campaign calling on the Department for Work and Pensions (DWP) to ensure that this process took days, not months. I’m delighted to say that we’ve had some fantastic news. The disabilities minister, Mike Penning, announced in an interview on BBC’s Radio 4 yesterday that they have reduced the waiting time to around 10 days, and are working to get them even lower (scroll to 45 minutes to hear the piece). This is amazing progress and wouldn’t have been possible without your support: thank you. The work doesn’t end here though, and we will continue to work with the government to ensure the benefits system works for people with cancer. The Father of Harrison was there for the Bill reading and spoke so well about his life. He looks so sweet but on the inside, his powerful little boy is struggling. His muscles are deteriorating at an alarming rate. Because he has Duchenne Muscular Dystrophy. Is getting worse. Our goal is to stop Duchenne, or at least find a way to slow it down significantly, before it has a chance to dim the twinkle in Harrison’s eye. Harrison was diagnosed in January 2011, a day that we will never forget – one blood test changed everything. Numb, we had to start down a path we never dreamt we would have to follow. We had to take those first steps that no one is ever taught. Our immediate thoughts, like all parents in this position, were to secure the best possible care for Harrison, and we are lucky to be close enough to the fabulous teams at Great Ormond Street Hospital. Having spoken to some of the best organisations in the world fighting Duchenne, it’s clear that for the very first time there may actually be a chance of a major breakthrough. Over the past few years, scientists have made giant strides in gene therapy and molecular medicine, and pharmaceutical companies have begun investing in research that may well bring Duchenne therapies to market. So many people have such heart wrenching stories . We do need the Bill it will change how the doctors treat us. PATIENTTALK.ORG What is Mesothelioma and how does it differ from other types of lung cancer? PROF FENNELL Well Mesothelioma is a cancer that is unique and it is unique because it is one that we know is caused by a specific substance. Just in the same way that people would associate tobacco with the majority of lung cancers. Mesothelioma is almost invariably associated with the substance asbestos. This is a mineral which was used for its phenomenal insulating properties dating back as far as the Romans actually but the problem has been that with the use of asbestos in the 20th Century those individuals that have come into contact with it have been exposed to essentially a carcinogen that causes this disease and it take around thirty years to form. I suppose the main thing that defines it in terms of how it behaves compared with lung cancer is that this is not a cancer that flies around the body and spreads rapidly to distant parts of the body. It tends to stay within the chest. It tends to create a straightjacketing effect around the lung and really the symptoms of this disease are related in part to the fact that this is confined to the chest rather than spreading to say the bone or the brain or other parts of the body. PATIENTTALK.ORG How common is it? PROF FENNELL I think this is a problem that we are facing with Mesothelioma. We are in the wake of an epidemic. The epidemic is not just a national emergency it’s part of a worldwide problem that we are facing. Particularly in Europe and this because of the timing I think of the exposure. The maximum exposure was seen in the order of around thirty or so years ago and when just now we are able to see a dramatic rise in the incidence. So we see around 200,000 patients a year at the moment. We think the rate is going to increase over the next decade it may extend beyond that but certainly up until the middle of the 21stCentury we anticipate that the numbers will be much higher than historically seen, certainly before the seventies. PATIENTTALK.ORG What is the typical treatment for Mesothelioma and the typical prognosis? PROF FENNELL Well there is only one, what we can define as NICE approved standard of care for Mesothelioma. About ten years ago a trial was conducted and the result of that trial is today’s standard therapy. This is combination chemotherapy. Patients will receive usually four to six cycles of that chemotherapy and following that chemotherapy that’s really it as far as the HS goes for many centres because there is no standard of care in the second line we are really guessing at what treatments to offer patients and this is really why we need major advances in terms of new drug based treatments for this cancer. PATIENTTALK.ORG Can you explain what exactly is a clinical trial? What the objectives of this study are and the risks involved? PROF FENNELL In general a clinical trial is the formalised assessment of a new agent and the assessment is very often conducted particularly when wanting to establish how effective the drug is by randomising the drug compared to either the existing standard of care or if there isn’t one to a placebo which matches the experimental medication almost exactly. So it is impossible for either the investigator or for the patient to know which is which. It’s only when the analysis of the trial is done that one can work out, de-convolute the data and establish whether the drug was superior to nothing at all. This is a very important mechanism for validating new drugs and what is considered to be the best standard of care but clinical trials are changing and particularly because our understanding of the cancer is changing dramatically we are now looking at the possibility or certain drugs and we have seen examples of this in lung cancer, examples of drugs that are so effective that a randomised trial simply isn’t necessary. There is more than enough historical data out there to tell us that a new drug may be far superior to existing standards and therefore eastern US, this is not the case in Europe at the moment but within the US it was possible recently with lung cancer to approve a trial on a very, very small number of patients who were treated with very dramatic effects. PATIENTTALK.ORG And what is the objective of this particular study? PROF FENNELL Aside from chemotherapy, maybe four to six treatments of the standard chemotherapy, is the standard of care and when you stop the treatment the cancer comes back. So the main purpose of this trial is to evaluate a new type of approach for treating Mesothelioma. It’s sort of a two hit approach­. You have the chemotherapy first of all that gets initial control of the cancer and then you stop the cell that normally causes the cancer coming back, these are the cancer stem cells, you stop them from growing by using a specific stem cell targetting drug and one of the drugs that we are looking at here seems to have that property, that it can target stem cells. In the process of doing this, what you’re doing is targeting a minority of cells within the cancer with low toxicity. As a consequence this drug can be administered and administered until such time as the drug has to stop because the cancer’s grown again but the main objective is to try and see if the cancer can be suppressed for longer. Where this type of approach that’s been looked at in other cancer’s such as lung cancer the results have been very impressive. This has led to a change in practice where maintenance therapy this continuation second hit as it were has been shown to extend benefit for patients. PATIENTTALK.ORG What would be the risks involved? First though I will say that I woke up today to a phone call. Did I know I was in the local paper. I didn’t know of coarse so Ray got up and bought the Kent Gazette. The Interview I did yesterday was there. Then I had a tweet from BBC SE and Simon Jones wanted to interview me. So great come along and they turned up at 12.30pm. We did the filming and tonight it was on BBC SE at 630pm. So that is my busy busy day!!!! So here is my guest blogger as it is how another Mesowarrior sees me. Steve Wride started the Journey the same time as I did. He has had different treatment to me and is now on the Vansel Phase Trial which is a Phase I trial so I cant go on it –Thats what Im fighting about WHY NOT ??? There are some organisations with high profiles which are very good at grabbing media attention, but it is rare to find the eye of the media turning towards an individual blogging away on a small scale and at much more personal level. You can bang on for years, trying to raise awareness about something important, but generally the only people who listen are family and friends, and those with a specific interest in the subject you blog about. As far as the national and international media are concerned, you do not exist.But there are exceptions to that generality and one of those is fellow meso blogger, Mavis Nye. 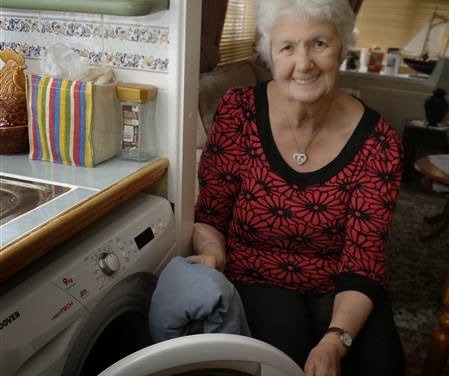 Mavis writes a daily blogLiving with Mesothelioma (link on the right) which has attracted attention far beyond her wide circle of friends in the mesothelioma and motor home communities. 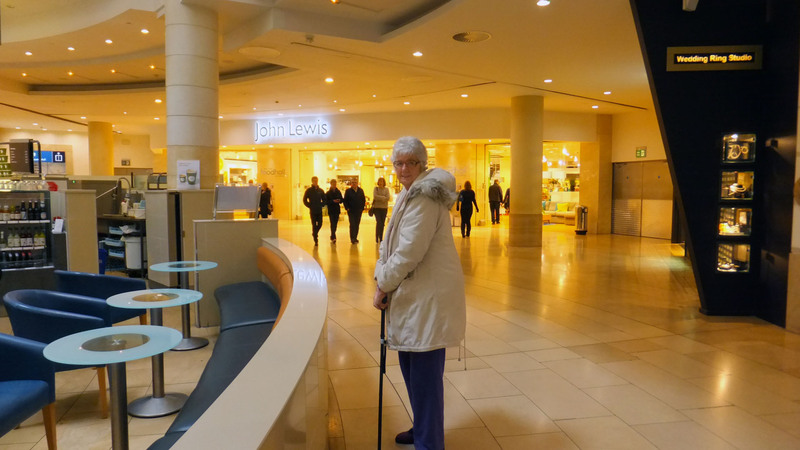 Likewise, the number of people following @grandmamavis on Twitter is rising steadily.Mavis works really hard at reaching out to people. I don’t know how long she spends each day sitting in front of the computer sending and reply to e-mails; posting and commenting on Facebook in groups and private messages; writing tweets; publishing her daily blog and such like, but it must be a long time – she is so productive!pm has paid off in the past, with features in the local and national press, but recently Mavis has hit the national media big time. 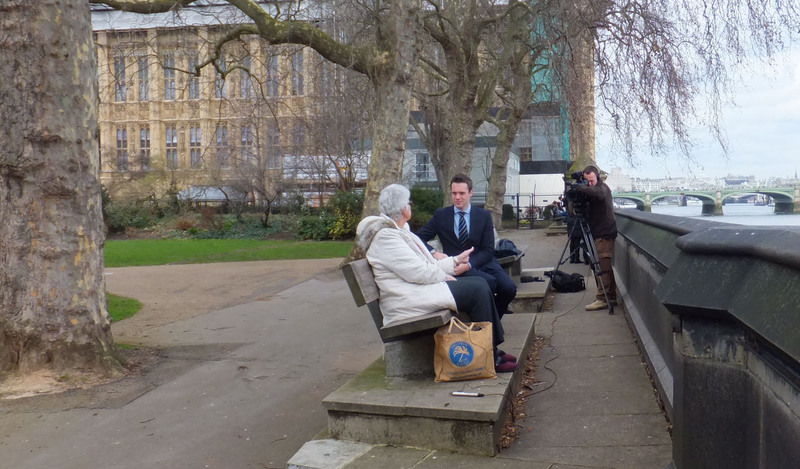 Back in January, she was interviewed on the BBC Politics Show, talking about the new Mesothelioma Bill. She was recently invited to tea with the Director of Corporate Development of Verastem Inc, a major American drug company which is working on the COMMAND clinical drug trial here in the UK. More recently, and at his request, she found herself sitting beside Lord Saatchi at the first “Google hangout” televised in the House of Lords on Monday to launch the Saatchi Bill (Medical Innovation Bill). She then went on to give interviews to the press and TV. Quite a celebrity :-)No wonder she was awarded the Asbestos Diseases Awareness Organisation’s Alan Reinstein Award for her commitment to education, advocacy, and support to countless patients and families, and the Independent Asbestos Training Providers (IATP) Meso Warrior Award in 2013. Where can she go from here, I wonder? Mavis has what we need to raise awareness of this awful disease. Someone who is living through it, helping others all the time while she desperately seeks the answer to the question what next for herself? Mavis has already had four chemo regimes and her “Mr Nasty” is growing again, albeit slowly according to her last scan back in December 2013.She has exhausted all the usual options but is still willing to put herself forward for innovative treatment, so is a prefect person to help front the Saatchi Bill campaign! I usually dedicate blogs to meso warriors with a heavy heart as it is a way of saying goodbye. Yesterday, we said goodbye to another warrior, Ernie and our thoughts and sympathies are with Dot, his wife, and their family and friends. But rather than use today’s post to say goodbye to another brave warrior, I’m delighted and proud to dedicate this post to someone who is still full of life and determination. Well done Mavis, meso warrior queen! Thanks Linda that is very descriptive of my life this week. Yesterday was a whole day to ourselves –bliss. I was saddened to hear a friend of my son at 58 had died. It is thought to be Asbestos related but his poor wife wont have a postmortem carried out and wont be making any claim. I feel so sorry for her and her grief. We also heard of the passing of Earnie Rogers. He has had a long and very painful journey and we have shared it with him on Mesowarriors pages. Dot has needed our strength to get through bless her but we are always there to answer questions and to hug her. RIP Ernie our brave Warrior. That kettle Ray bought was awful for taste of plastic so we had to boil and boil again and it is now so much better. I cant find my water filter must have thrown that out on my decluttering day ooops!! Bernie Banton Foundation. I love chatting about what is going on in Australia as they are in front with trials and all things Asbestos. We have been cyber friends for 5 years. So I sit and wait for the TV to join me and I have to repeat my story, you think I would know it off pat but I can make mistakes over dates. Ray has just gone to the paper shop to buy the local and to see what all the fuss is about. TV have just rung they will be here at 12 midday. This is my dream to have full Awareness of Asbestos as My passion is to eradicate it from Schools to protect our youngsters. 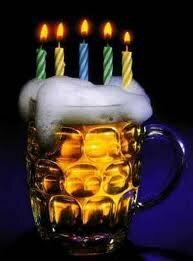 But to be able to have treatment for Mesothelioma for 5th line would be the icing on the cake. I had just got up yesterday when the bell rung and a reporter standing there. I was in my dressing gown and I said ooops can you come back. I started to talk to him and he asked if Ray was around, so I went and got this sulking man out of the den but amazingly he chatted very well so I relaxed. We had to go through all the story but to be honest it was so difficult as the poor very young reporter just didnt know anything about Asbestos. We enlightened him though and he was asking questions. He knows about it now as he went back to his office and did a lot of research he said, when later he phoned and had more questions to be answered. That is great I do love teaching about Asbestos as they should be aware. He had said a photographer will be around about 5pm so Ray went and replaced the kettle that for some reason was leaking. I stayed here in just incase the reporter phoned with mores questions. The kettle came home but Teso’s shelves were empty so Ray had to bring home one costing £6.00. It makes the water taste odd, but it was am emergency so we have used it. Ugh!!! We will go today and get another one from Currys. The bell rung at 3pm and the photographer was here. He was just passing so he just dropped in for 5 mins and that was that Flash Harry was gone. I relaxed and cooked dinner. She has really settled in and has bought a lovely house out there to be near her family. He wrote an piece for the daily mail on what it was like to change from a Doctor to a Patient. He talks of Alimata as the new drug which shocks me that there wasnt much to give when we were diagnosed 2009. We are really at the forefront of the disease and so much will be learnt as the years pass by. I was talking to Prof Fennell about would our Lung being left to Research be a good idea and he said it would be wonderful as so much would be learnt. Ray isnt keen on that but he now knows I would like that if he could allow it when I do pass. We did it with our daughters kidney’s so it is possible. I wont push it until Im in a hospice. Reading this I cant wait for the Saatchi Bill to come in as it will change our medical knowledge no end. It is easy in away, that there would be no more placebos etc etc what it is -In cancer there are so many different cells. So they want to take the bi-op and look at the cells, there they will find that maybe my cells will look like a breast cancer cell and so I can have the chemo that has been already passed for breast cancer. Wont need a trial as it is an approved drug that has already been through trials. —My Oncologist in Canterbury and Barts London my GP all approve with what happened on Monday so seems to me all the Doctors approve as their hands wont be tied any more –no more red tape and the Doctors will be able to use there own knowledge more freely. Thats how I see it anyway. My GP my Oncologist in K&Canterbury, my Mac Nurse, my St Barts Doctors have all backed what I did on Monday and all back Lord Saatchi. So come on just pass it Health Minister –When do we want it –We want it now. Medical training is a disadvantage when you’re seriously ill, says Andrew Lawson, a consultant at the Royal Berkshire Hospital in Reading. Last month he was diagnosed with lung cancer, and as physician turned patient, not only does he know the worst about his condition, but he’s uniquely qualified to see what’s wrong with our healthcare system. In medicine, it is something as clinicians we have to accept. when I was diagnosed in March with a rare form of cancer, pleural mesothelioma. Since then, my life has undergone a surreal change: From doctor to patient. No longer a person who may save lives but one whose life needs saving. For the first time it became apparent to me what it must feel like for a seemingly healthy patient to receive a bombshell diagnosis, and how as doctors it is sometimes difficult to understand this. In the process, it’s become clear just how much faith a patient needs to have in the hands of their doctor. always been in relatively good health, save for a bout of pneumonia four years ago. In fact, on hitting my 40s, the joke with colleagues was that if anything was going to strike me down it would be a heart attack, the typical pay-off for the stressed middle-aged man. Stress-related coronary artery disease seemed a far more likely threat than the rare form of lung cancer I have. cancer was probably having some effect on my mood, that perhaps just as disease can make us feel depressed or low, so feelings of depression and melancholy might be the sign of undetected disease. On call the following day and not wishing to make things difficult for my colleagues, I forced myself to go into work. Various nurses and doctors remarked that I wasn’t looking well and I arranged to see a duty physician who told me I needed a chest X-ray. This was no fast-track system, I went to the radiology department and sat in the waiting room with everyone else. shadow on my right lung. live for five years and only six per cent live ten years. What I didn’t know at that point was survival rates for my rare form of lung cancer were even worse. I’d been treated at the Royal Brompton Hospital for a bout of pneumonia in 2003 and I contacted my consultant physician there, who arranged for a CT scan. queue-jumping, inevitably you are treated slightly differently as a patient when you also happen to be a doctor. A fellow medic assumes you know whether something is painless or what a procedure involves. It’s that nod of understanding between professionals. The scan revealed a thickening in the pleura around the lungs, though a biopsy later in the day was needed to confirm the cause, but unfortunately I couldn’t luxuriate in the ignorance of a lay person, as my doctor, a friend and former colleague, understood. I knew that thickening meant we were dealing with some form of malignancy. The results took a week to come through and as the days passed I tried to distract myself with work and my home life. But my wife is also a doctor and knew she couldn’t fob me off with conciliatory comments such as “I’m sure it will be all right”. Though she didn’t suspect pleural mesothelioma, she also tacitly acknowledged that we could be entering the sinister territory of cancer. Strangely, when I sat in the consultant’s office a week later I felt extraordinarily calm. Though mystified and shocked by my diagnosis, part of me remained emotionally detached. I’ve had to break bad news many times during my professional life. You inure yourself to the terrible things you see, such as watching a teenager in casualty dying from a car accident. dispassionate conversation about a cancer that could kill me. I think my consultant understood that, since we had worked together and there was no disguising what the score was. Pleural mesothelioma is a rare and virulent form of cancer that affects the thin membrane that lines the inner surface of the chest wall, the pleura. In my case, it had grown around the lining of my right lung, rather like an incomplete marzipan around a cake. I knew that, with this condition, my chances of survival were at best bleak and I felt profoundly pessimistic. When we discussed my diagnosis at home, despite the incredible support of my wife, it was with the added tension of medical understanding. But when it comes down to it, like every other patient, my life is now in the hands of those treating me. Pleural mesothelioma is almost exclusively related to asbestos exposure. Not only is it incredibly rare, with only 1,700 cases a year in the UK, it usually presents itself in people in their 60s. which run under the old London teaching hospitals such as Guys. Many of these corridors had steam pipes lagged with asbestos. Some of my medical student friends were even housed in an old asbestos factory that had been turned into a hall of residence. Had this been the cause? What I do next is under legal consideration, but the maths adds up. Pleural mesothelioma can take 30 years to develop. I started medical school at 17, just over 30 years ago. The internet has become a powerful tool for anyone given a brutal diagnosis and, just as a non-medical person would, I turned to it for further information. It quickly became clear that I perhaps shouldn’t start making plans for my retirement. Since mesothelioma is diagnosed only at an advanced state, surgery and radiation are not often considered an option for successful treatment. However, a relatively new drug called Alimta is now regarded as the frontline treatment. But Alimta is not widely available on the NHS. The vicious financial reality is that for each year of (quality-adjusted) life it brings, Alimta costs more than £30,000. Diagnosed with a mesothelioma in Scotland, Australia and many European countries, you will receive the drug, but not in most of England. The National Institute for Clinical Excellence has made a ruling on cost-effectiveness grounds so that the only drug that has been shown to have effectiveness, albeit of a limited nature, will not be available. I have been aware of, and felt strongly about, other questionable decisions by NICE and lack of effective budgeting of treatment based on cost. wrong with limiting certain treatments on cost grounds, but we need to be honest and open that that is what we are doing. I have always been a supporter of effective financial management in the NHS, deciding not to make Alimta available made no sense since this is really the only treatment available to mesothelioma patients. This seems to be a decision on cost grounds alone. I was fortunate that my oncologist at the Chelsea and Westminster Hospital was still able to prescribe it from a limited and dwindling supply. be for those who have neither the resources nor the support of their NHS trust. Patricia Hewitt maintains that a modern health and social care system has to be completely focused on the needs of its users. Yet most sufferers of mesothelioma will not be provided with drugs which may prolong their lives. whatever that is, in the borough of Tower Hamlets. Despite being a doctor, and black humour aside, I was as anxious about chemotherapy as the next patient, anticipating the chronic nausea, debilitating tiredness, and even the hair loss. My family buoy my spirits as I endure an emotional roller coaster which takes me from brief moments of optimism to bleak despair. deprivation are not so bad. And after two cycles of chemo, a CT scan has shown a response of sorts, though not one that is enough to give any really clear message of hope. treatment, I’m left to reflect on how my perspective has changed as a doctor. I realise now how much patients feel empowered by the internet, and I hope it does encourage them to get doctors to explain more fully. I have also discovered that you can also learn things you don’t want to know. at the pain management section of a leading university unit dealing with mesothelioma. condition, so I already have a depressing sense of what to expect further down the line. On hopeful days, when I consider the possibility of working again, I wonder if this experience will make me a better doctor. My first-hand experience as a patient has re-affirmed a longheld view that we need to care for people, not just “treat” them. Reading one medical paper, I felt angry that an expert who had posted his work on the internet had been blunt to the point of callousness. Writing about my condition, he noted that “death is characterised by unremitting pain and dyspnea (breathing difficulties)”, upsetting for any patient who comes across it. Caring involves giving information in a sensitive fashion, not “click on here” to find out just how bad it can get. Meanwhile, advanced knowledge offers hope and despair in equal measure. I know for pleural mesothelioma there is an average survival of 20 months. Reading this data I might take home the message I will most likely be dead in 20 months. But I also tell myself that as an average there are those who fall above as well as below it. professionals. But equally there are things of which we should be ashamed. I was lucky to be in the right place at the right time for this particular diagnosis. Only time will tell how much more luck I’m going to need. I wont talk about the Video as it explains it all and I was so proud to be invited to sit next door to the great man himself, Lord Saatchi, and I wish him every success as I want the Medical Innovation Bill and when do I want it. I want it today as I might not be here tomorrow. We had a long day in London, I had got up at 5am and we were on a train by 7.39. 2 stops on the underground and we were there. Silly me I hadnt bought any info and I thought it was in the House of Lords. Nobody knew there where I should go and trying to be calm while a security man walks around with a gun is not a easy thing to do. 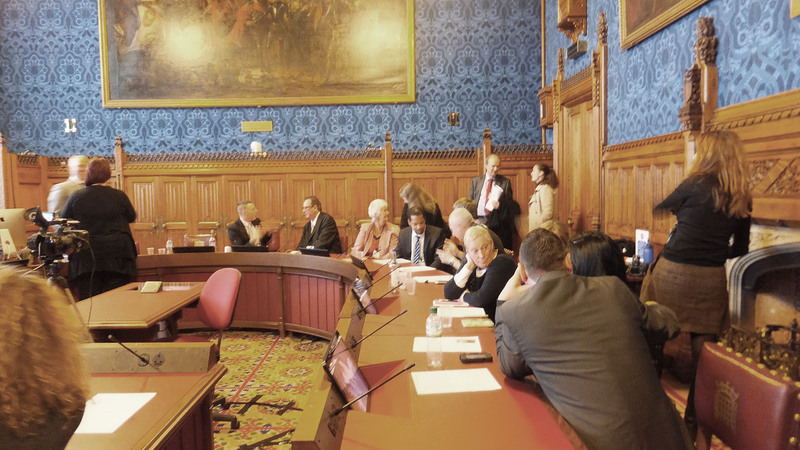 They finally found out for me that I should be at the main gate and it was to be held in the Committee room 2 at the House of Commons. 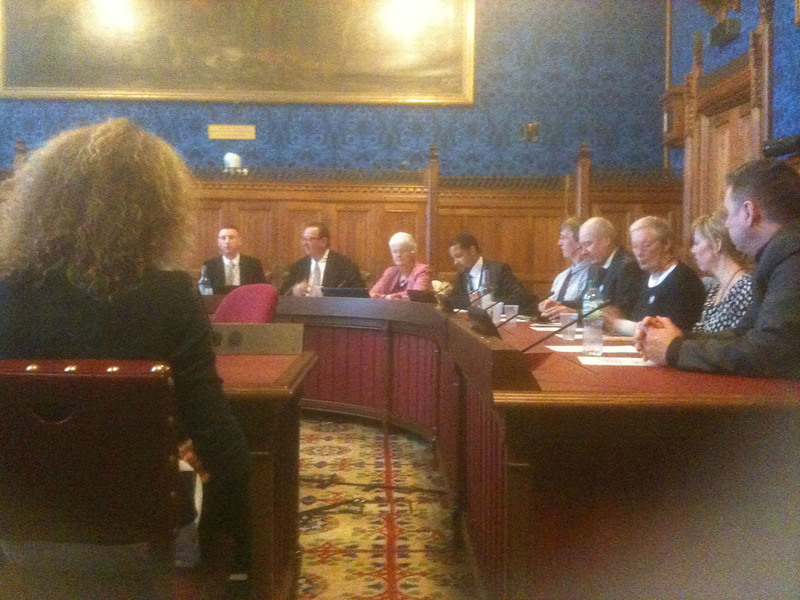 I said I was disappointed as I wanted to see the House of Lords so I was told to come back another time to join a Tour. Any way got back and went through Security all the x ray machines and being frisked. We waited for my guests Prof Dean Fennel and My Pal Brian Sullivan from Verastem. It was so good to meet him again and he has had a great time visiting the hospitals that are running or will run his Command Trial. Dean was so pleased he had been asked to talk and he did so with a very wonderful knowledge of Mesothelioma. You Warriors that live in his area of Leicster are so very lucky to have such a committed doctor. Professor Fennell’s clinical specialisation is in thoracic medical oncology and early clinical trials, particularly mesothelioma, with a particular interest in therapeutic targeting of the core apoptosis pathways. Prof Fennell leads a Cancer Research UK funded group with a laboratory focusing on apoptosis, drug resistance, and signature-based therapeutics using the connectivity map for accelerated, targeted drug discovery. He is currently leading UK and international clinical trials of novel targeted therapies in Lung Cancer and Mesothelioma. We all went inside the room and we were joined by Mary Toms a messowarrior who had lost her dear husband to the disease.I sat in the visitors chairs but was soon moved as Lord Saatchi wanted me by his side as Mesothelioma is just what he is talking about. A cancer that has no cure and is terminal. Dr Max Pemberton chaired the meeting and I would like to say what a lovely man. He was so kind and so friendly and helped us not to have any nerves about the meeting. After it was finished everyone was talking and gleaming info. 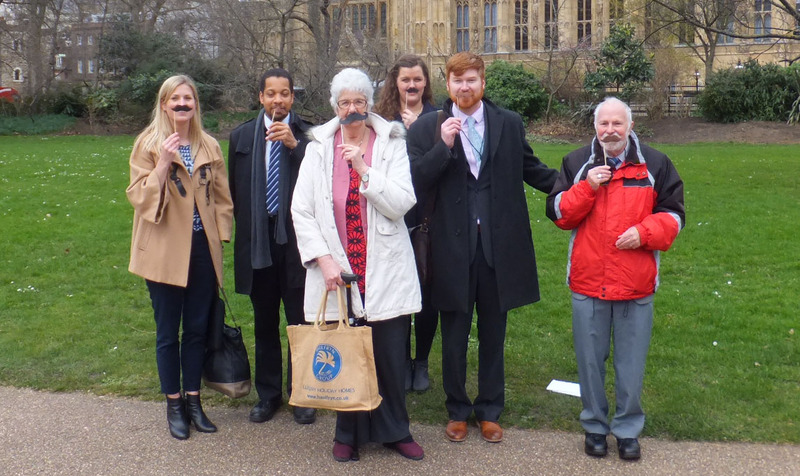 It was great to see every ones enthusiasm Mesothelioma and I have been told that Government is going to pass a huge sum of money for research as at last they are saying Mesothelioma isnt rare and that the figures are going sky high that the 2020 scale is wrong. Something I have been saying for a long long time. We then went out into the gardens for photographs. We were right by the Thames and it was so nice to out in the fresh air. I was then carried away in cars that had been laid on for Ray and I Dean, Brian. We were taken to studios that film Interviews and then put them out to whoever wishes to buy them. They gave us lunch and then we got onto working. I was in with Dean Fenner twice. I did 3 interviews and I was getting tired as I was telling my story over and over, I kept saying 7 litres as 7 millilitres and even 5 at one time, much to Brians amusement. 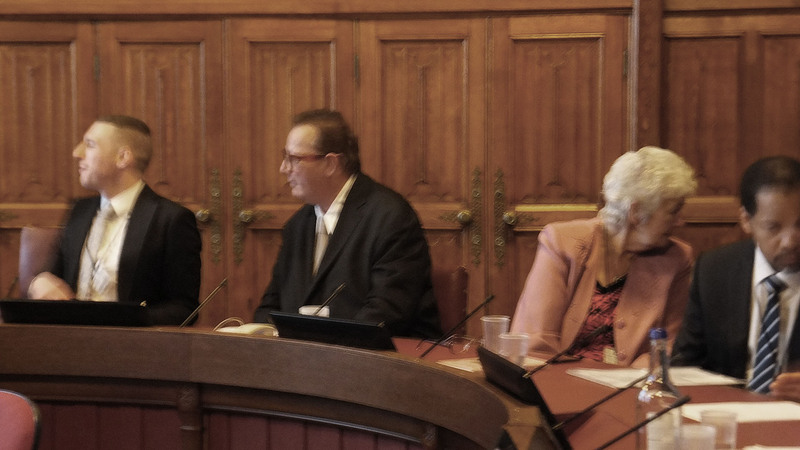 The time came to say goodbye I was so pleased Brian Sullivan had a great time as he and Dean Fennal had no prior knowledge of the Innovation Bill being read so I was thrilled I had been able to have arranged it for them. We were driven to the station and we caught a very crowded train home and got in at 8.30very tired, very happy, and very proud to have taken part in such a history making day. I would like to thank all the people I have met yesterday. Right from ticket collectors at London Underground and the two men that offered me their seat, we were only going 2 stops so I refused Im so sorry, Security men and all their kindness worry about me going up so many stairs. It seems to me that once you have a walking stick the whole world is so kind to you. Bless you all. A bill which would empower patients and doctors to try out new innovative treatments where standard procedures are failing has the potential speed up medical advances, Lord Saatchi will explain as he launches a public consultation on the issue today. The politician is joined by a panel of experts including Telegraph doctor Max Pemberton in a live video stream from the House of Lords today where they will call on the public to support his Medical Innovation Bill. Introduced by Lord Saatchi last year following the death of his novelist wife Josephine Hart to ovarian cancer in 2011, the bill seeks to give medics greater freedom to test out cutting edge treatments on dying patients. Currently doctors are forced by the threat of legal action to stick to standard procedures, even when they are proving ineffective. Lord Saatchi’s bill has already received huge public support and health secretary Jeremy Hunt promised to support legislation on the issue after the public consultation which is launched today and ends in May. The former advertising guru will claim today this is the one chance the public have to set the changes in motion before the end of this parliament. Calling on Telegraph readers to support his bill last month, Lord Saatchi said: “There may not have been anything to stop Josephine dying, but the terrible thought that haunts me is that her death was a wasted death. “Indeed, all 165,000 cancer deaths in this country every year are wasted deaths because science advances not one centimetre as a result of them. “Nothing new is tried and so nothing can be learnt that might spare others. Scientific progress is being halted by the law and fear of negligence bills. Writing in the Telegraph earlier this month Max Pemberton said: “If a treatment or procedure has been suggested to be of benefit, why not try it, especially as it might offer new hope to patients? Hopefully your work will make a difference to all the hoops patients and investigators have to go through all the time. Things are coming together well for tomorrow. Professor Fennell has been invited to speak at the session and we have arranged for an interview with him, you and Lord Saatchi at 1:30 just outside of parliament. Maurice is particularly interested in your story and would like to make mesothelioma a case study for his proposed bill. We have also lined up radio interviews for the afternoon with you and Prof Fennell (Maurice may also join). I have arranged for a car for you (is Ray joining as well I hope?) to pick you from parliament and to the studio. This car will be with you all afternoon and will deliver to the train later in the day. I will arrive with Prof Fennell at parliament around 10:15/30 depending on traffic. Shall we meet inside? My mobile ———Let’s connect in the morning to coordinate. 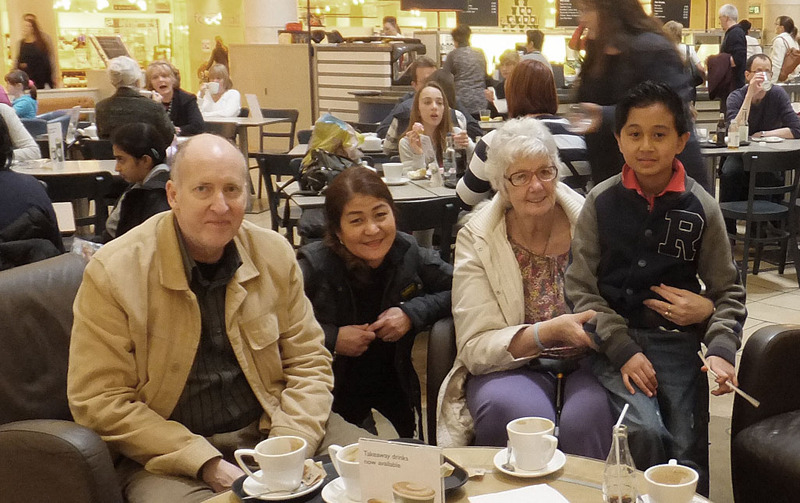 Thank you for spending the time tomorrow to raise awareness of mesothelioma and describe your personal journey. I am excited to be a part of it and it is a pleasure to help arrange avenues to get the message out. ADAO a big thankyou and IATP watch this space as you saw in me something I didnt always see. Ray had a lovely birthday as the family all came to see him. He has had lots of presents and cards but on Facebook he had a load of Birthday wishes from his cyber friend’s Which surprised him and made him so happy. We were shattered and we said good bye to Our son and DIL but I couldnt relax to get to sleep as so much is going through my head. A young warrior has died and that does hurt. Every death hurts. A Murder Mystery night has been planned in his honour to raise funds for Mesothelioma UK here in Seasalter Church.8th March. Also another warrior is gravely ill in hospital. Our lovely dot and Ernie. We have been to meet Ian and Grace today. Ian has survived 3 years but now has it fluid around the heart. He is breathless, but like me is ok on the flat. 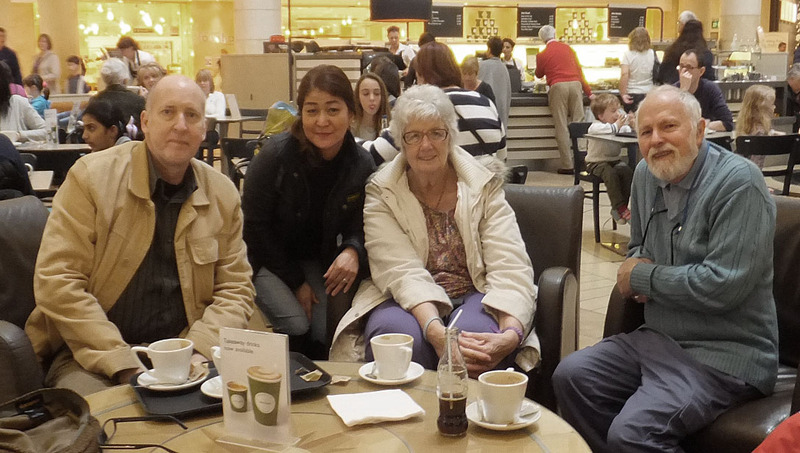 We met at Bluewater and had coffee and a lovely chat. We sat there for so long I didnt see it all filling up behind us. How would they recognise me —the old girl with the stick he he !! Its so amazing that Grace and I have spoken on facebook for 3 years and so although we didnt know each other we got on so well with her and Ian. Cyber friends are really special. 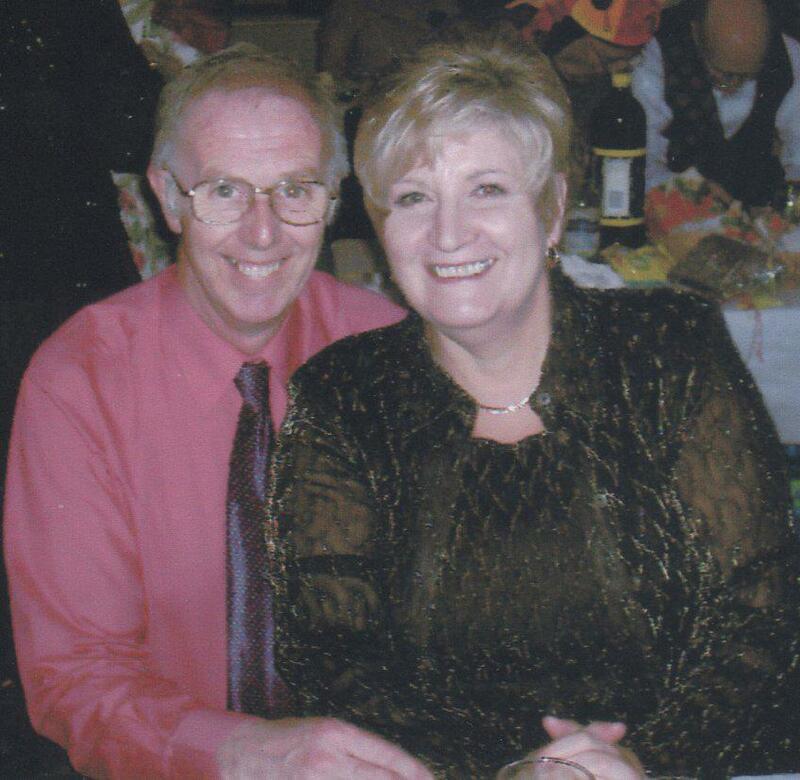 We talk together about our lives and how we had got to this point of having to fight Mesothelioma. The time flew by. We left them to go shopping on their own and came home. Catching up on the house work as tomorrow is a big day. An early start to get to The House of Lords and meet Lord Saatchi. Although its for Warriors the Bill is really for all Cancer Patients. We all have the same fight to find treatment and trials. I hope to come home and report everything that is said and what I think of the Bill. You are starting a movement. You and your followers have a genuine opportunity to change the course of medical history in the UK, to help patients and doctors innovate and find new cures and treatments for diseases that are hurting and killing our friends, our families and us. 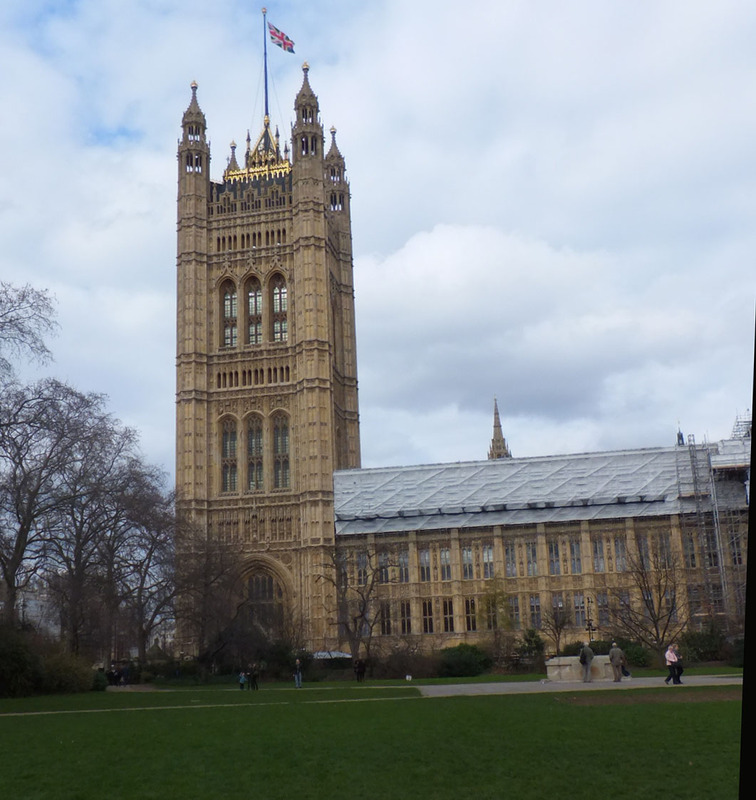 (Lord) Maurice Saatchi – the sponsor of and the inspiration behind the Bill. Debbie Binner – who lost her daughter Chloe to a rare cancer. Her daughter was too young to get on a drugs trial. Mike Thomas – best friend of Chloe. Charlie Chan – a Consultant General Surgeon with a special interest in breast disease, skin cancer, and soft tissue tumours. Prof David Walker – Professor of Paediatric Oncology, Faculty of Medicine & Health Sciences at the University of Nottingham. They will speak for 5 minutes each and then take your questions. My Question is -Do you realise that By my living 5 years instead of 3 months, as I was told and having 4 lines of Chemo Im told by my Oncologist there is no more treatment. I have had to spend a lot of money and time knocking on Other hospital doors searching the country for treatment, as my Mesothelioma is growing again. I feel so strong in mind but not in body that I can go on in treatment and what does it matter if its at Phase 1 on a trial Im terminal what harm could it do, I have to sign consent form anyway. I should not have to chase treatment it should all be on a central bank for my Oncologist to find the treatment is out there. I think I have got to stand up and put this over Ekkk!! I thought this was the end of my Blog then hay ho !!! Another fight has come to me. Jeremy Hunt is trying to sneak through a law which will give him the power to quickly close any local hospital without listening to local people. No hospital is safe. If we’re going to have a chance of stopping Jeremy Hunt we need to throw the kitchen sink at this. And we need to move fast. Vote now to decide whether or not we should launch a big ampaign. Yes or No? It’s going to be tough to stop Jeremy Hunt. But we’ve done it before – twice in Lewisham alone. And if enough of us are keen, there are exciting possibilities for next steps. And new tactics we could try which would take even Jeremy Hunt by surprise! Should trying to stop the hospital closure clause be 38 Degrees’ top priority over the next few weeks? Please vote now to help decide whether to launch a big campaign by clicking on the buttons below. Where is my fighting hat !!! !